The MPR121QR2 is a capacitive touch sensor controller that makes it very easy to integrate capacitive touch sensing into your project. It communicates via I2C, and works by measuring the capacitance of twelve electrode points. When an object comes close to the electrode connector, the measured capac..
Based on RF module RC522 Near Field Communication module, with operating frequency og 13.56mHz where you can read and write a tag. Compatible with all gizDuino / Arduino microcontroller boards. Specifications : Power Input 3.3VDC Data Interface SPI Communication Working current 13t.. 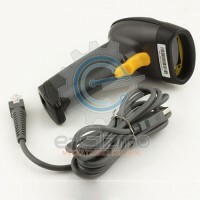 Single Analog Thumb Joystick is the most suited for 2-axis control projects like remote control cars and many more. 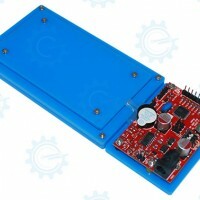 Specifications : Power Input 5VDC Output Analog : X-Axis : 0 - 1023 Y-Axis : 0 - 1023 Button : 1 || 0 Downloads : Hardware Manual Download Sample Arduino/gizDuino Sketch ..
Our new Stand-alone RFID Card Reader with build-in MCU ATmega168 with 16kB Flash memory that can Stored up to 100 RFID cards with 7-bit address for assigned number to the users. 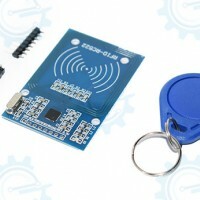 Additional features on-board with Easy ""Enroll & Delete"" switch with commands, ""Execute"" push button, ""Serial Con..
16 key keypad module configured in 4x4 array readily connects with any of eGizmo EZkonnek equipped microcontroller boards. Can be easily configured to connect with other controllers as well.Downloads : Hardware Manual Download Sample Arduino / gizDuino Sketch Download.. 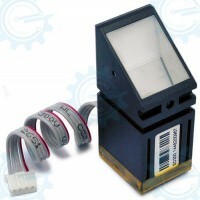 Reliable fingerprint reader, complete with DSP controller for easy integration with microcontroller circuits, PCs, or industrial controllers.Specifications :Power Input3.3VDCDSP ( Digital Signal Processing )TI TMS320VC5416 Serial CommunicationUARTDefault Baud Rate19200 bpsDownloads :ManualDownl..